Of all kinds: houses, apartment buildings, hotels, residences, schools, etc. The Obox industrialized construction system allows you to find the ideal home, fully customized, with absolute flexibility. Here you can get the price of your home. Access and enter the parameters that shape your dream home and you will be surprised with the price. With the details of your parcel, we will develop the entire project, manage the building permit, and in nine weeks you will get your home ready. The videos below visually explain our system of industrialized construction of prefabricated houses. 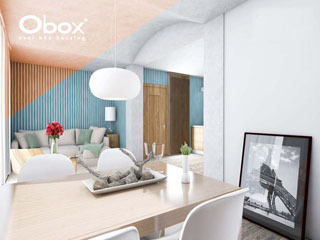 The Obox system for industrialized construction of prefabricated houses revolves around the production of homes or other buildings based on concrete modules of 6x3 meters that have an original and characteristic vaulted ceiling that increases the spatial quality and spaciousness of our constructions. 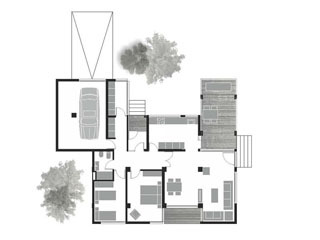 The Oboxy system involves the design of the architecture, the production of the modules at our plant, their transformation into the designed house, and the transport and assembly on the final location. This is a tremendously innovative system that includes the total finished modules that make up the manufactured home in our own factory. 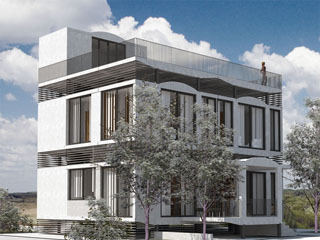 Concrete prefabricated houses - Obox system benefits. • The low cost construction that is derived from the concept of assembly line manufacturing. • The speed of construction due to the industrialization of the process. We can deliver in 9 weeks after getting the building licence. Currently we operate one industrial manufacturing plant of Obox modules in Illescas, Toledo. In this factory the concrete modules are produced, the completion and finishing processes as in an assembly line are performed, and stored for subsequent transport. Factories are an integral part of the Obox system and are scalable and flexible depending on the needs of production, processing and storage.